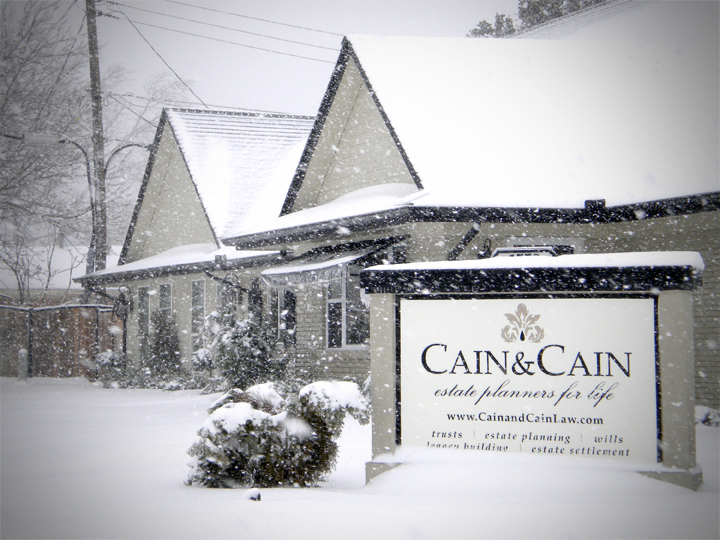 Cain & Cain, Estate Planners for Life™ believes in creating estate plans that really work. It is a process, not an event. Estate plans must be maintained and updated because of changes in the law, the tax system, the family, mobility of family helpers, and Cain & Cain’s own constantly evolving methods for addressing client’s issues. Marty and Tamara Cain have developed a unique approach to estate planning called the Estate Planners for Life™ process. This unique process helps create purposeful and lasting legacies that include the client’s voice, vision, faith and values in their estate plans without all of the typical legalese of wills and trusts. Although estate planning can be a complex subject, Cain & Cain’s process makes estate planning easy to understand, organized, and cost effective. The law firm is education-focused. 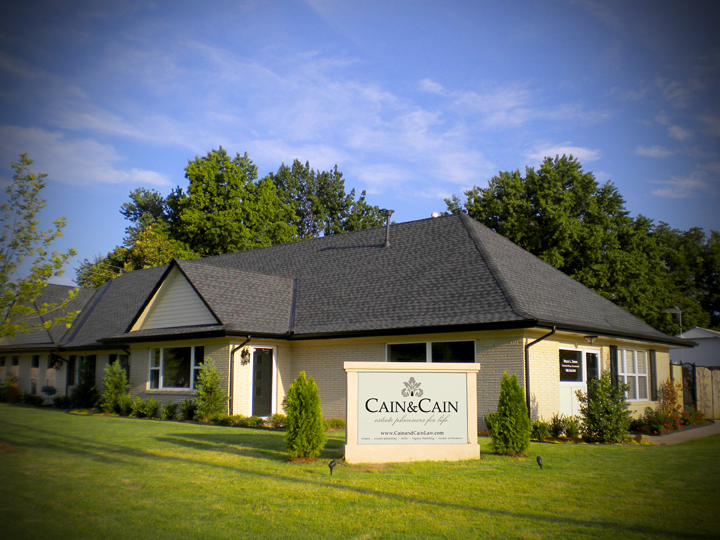 At Cain & Cain, PLLC, they tell each client, “If you teach us about your family; we’ll teach you about the law.” Together, they develop a one-of-a-kind plan that is customized and designed to meet the individual goals and needs of the client and provide for the people they love and the causes they support. 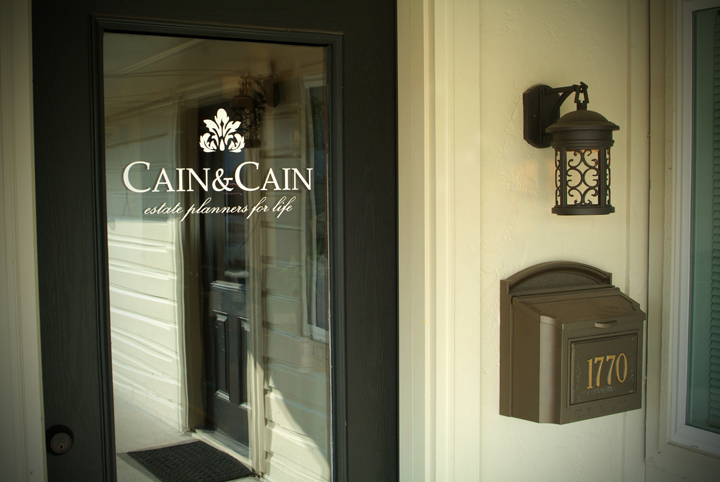 Cain & Cain takes special pleasure in establishing life-long relationships with their clients, their client’s helpers, and their client’s families. Cain & Cain, Estate Planners for Life™ believes in creating estate plans that really work and feels strongly that estate planning is a process and not an event. Estate plans must be maintained and updated because of changes in the law, the tax system, the family, mobility of family helpers, and Cain & Cain’s own constantly evolving methods for addressing client’s issues. The Cain’s Estate Planners for Life™ process provides an efficient and cost-effective framework for clients to maintain and update their estate plans so that the plan provides for the client and the client’s anticipated beneficiaries as it was intended. Cain & Cain clients come from all vocations. They range from business owners, to farmers and ranchers, to educators and other professionals. They are young families, they are reaching retirement, and they are retired. All have great wealth that goes far beyond their monetary wealth and their property. The Estate Planners for Life™ process ensures that the client’s vision, faith and principles are communicated and passed to the next generation along with their money and property. It’s Not About Documents – It’s About Results! The key to proper estate planning is clear, comprehensive, customized instructions for your own care and that of your loved ones. These instructions can be included in a will, a trust, and in several other related documents. We find that most of our clients are best served with a combination of these tools, backed up by the Three Step Strategy™. We fear that much of what passes for estate planning in this country is little more than word processing! We don’t believe you should pay a licensed professional to do word processing. Their value is in their counsel and advice, based on knowledge, wisdom, and experience. If word processing is all you want, you may as well do it yourself! But if you want an estate plan that works, seek good counseling from an attorney who is willing to work closely with other professionals such as your financial advisor and accountant. Step 2: COMMIT Yourself and Your Family to a Continuing Maintenance and Education Program. Since everything constantly changes, you cannot expect a plan to accomplish what it was intended to accomplish if it is never updated. The costs of failing to update are typically far greater than the costs of keeping your plan current. Step 3: SECURE Appropriate Assistance for You and Your Family to Transfer Your Wisdom Along with Your Wealth. It’s one thing to pass your wealth to the next generation. It’s a different thing to pass it along in an orderly and protected manner. And it’s yet another thing to pass along your wisdom. A good estate plan will accomplish all three things. By working with a team of professionals, your heirs will be able to receive their inheritance in a form that is protected from creditors and predators. In addition, you can structure your estate plan to provide in-depth instructions or commentary on those things that you believe are important for those heirs to know and do. Creating an estate plan is not difficult, but it does require the involvement of all your professional advisors; your attorney, your accountant, and your financial and insurance advisors. If all the professionals are included in the planning, you are much more likely to have a plan that works. If not, you may receive conflicting advice that leads to confusion and inaction. We suggest that you allow us to involve your other advisors in your planning, and keep them apprised of steps you are taking. That way everyone is fully informed and has a chance to offer their particular expertise to the process. Integrity: Say what we do: Do what we say! Education: our team strives for “Kaizen” or continuous improvement in ourselves, our firm and our processes. Through education, “Cain & Cain helps others help themselves”. Cain & Cain’s own legacy. Just like you, we have our own story that is forming our legacy. Cain & Cain: Estate Planners for Life is a partnership between husband and wife attorneys Marty and Tamara Cain. We endeavor to use our legal expertise to take a new approach to estate planning that serves the long-term needs of our clients. This desire came from our own experience in helping Tamara’s father with an estate plan. Thousands of dollars later, we were given a thick set of papers that we quickly realized would be outdated within months. We knew there had to be a better way. After a little research, we discovered the National Network of Estate Planning Attorneys through which we have been trained to approach estate planning as a dynamic and life-long process that centers around each individual’s unique story. We have both practiced law for nearly 20 years and are excited to use our legal education and experience along with our specialized training in estate planning and legacy preservation to help you make the plans needed to ensure your legacy lives on. Thank you! We we respond as soon as possible. Mitch received his B.A. from Oklahoma City University in 2007. In 2010, he graduated from the University of Oklahoma College of Law and was admitted to the Oklahoma State Bar. Kelli is our Client Services Coordinator and is an integral part of our team as she is involved in some way with every process and procedure in our firm. Within weeks of joining our team, Kelli has made substantial improvements to "Step 1" of our 3-Step Strategy™ of Estate Planning. Her ability to process information and assist clients as they navigate the "development" portion of our Estate Planners for Life™ Program is valued and highly appreciated by our clients and our entire team! Kelli is from Newkirk, Oklahoma and now lives in Norman with her Husband Ben and their two sons, Trey and Blake. Alana has been a part of our team since 2011. She has played a large role in developing the processes and procedures we use to keep our office and Estate Planners For Life™ Program running efficiently and smoothly. Alana is currently focusing on "Step 2", of our 3-Step Strategy™ of Estate Planning to further develop and implement the "maintenance" portion of our clients' membership and make it the best experience we can provide. Alana lives in Norman with her husband Wayne, and two children Brody and Olivia.